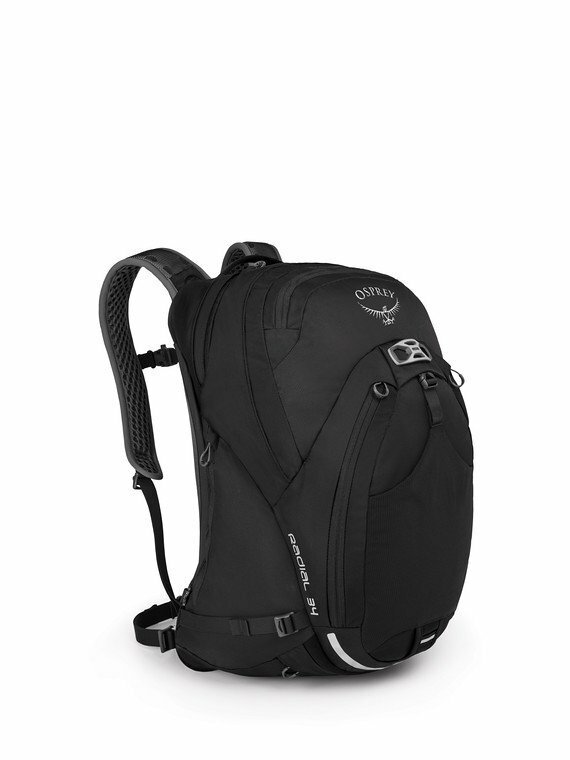 Allows ventilation even with when carrying heavy laptops and other electronics. Integrated raincover, front stretch mesh pocket, organization compartments and a LidLock to secure your helmet when you�re on foot. Whether full or empty the pack stays upright while you juggle change at the coffee shop thanks to an integrated kickstand. Adjustable sternum strap with safety whistle "